Mount Kanchenjunga (8,586 m) is the 3rd highest mountain located in the eastern part of Nepal, in the border or Nepal and Sikkim. This is called ‘Five Treasures of Snow’ after its five high peaks. The Kanchanjunga region is said to be the home of Mountain deity. Nepal opened this region for Kanchenjunga trekking after 1988. Kanchanjungha was first climbed in 25 May 1955 by Joe Brown and George Band. This is the most outlying region from Kathmandu. 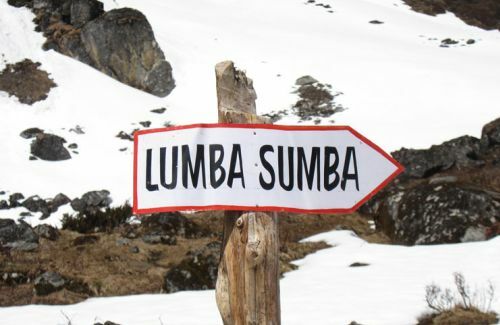 The Nepalese government has stated in the rule that there should be at least 2 trekkers to trek in this region. The region has spread through and around Arun River which dates back to pre-historic period. 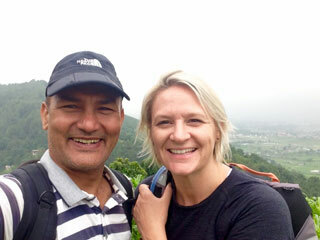 Kanchenjunga trek is strenuous as it does have 5143 m high challenging passes. The region has a pristine beauty. The region is rich in vegetation and endangered species of animals like Red Panda blue sheep and musk deer. There we find 26 different species of Orchids. Mostly the Rais and Limbus is the indigenous inhabitant of this place but there are other caste people like Sunuwar, Magar, Brahmin and Chhetris in minority. The region is covered with the alpine pastureland, dense subtropical forests and the gorges. The best view of Kanchanjunga can be seen from Antu Danda of Illam, Nepal. The popular trekking areas of this region are Kanchanjungha area, Milke Danda and Jaljale Himal. 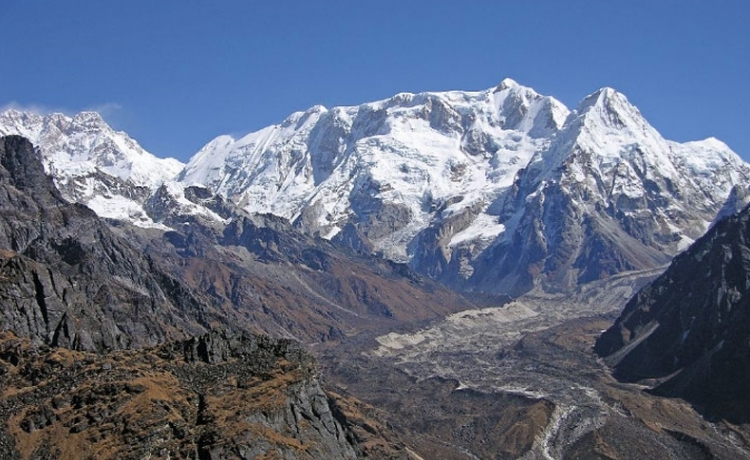 The popular trekking to Kanchanjunga is Kanchanjunga Base Camp passing many glaciers. The trek to the North Base Camp at Pangpema (5,140 m) can be done in 23 days taking flight from Kathmandu to Biratnagar, then driving from Biratnagar to Basantapur and trek to Kanchanjunga Base Camp. 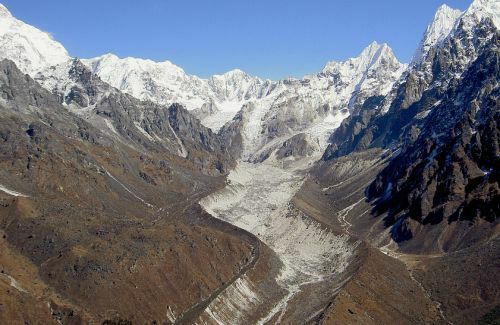 The trek to South Base Camp at Oktang (4,800 m) and Yalung Glacier at the same elevation takes minimum 16 days.